I am lucky that in Kuala Lumpur, I can wake up to the sound of singing birds. 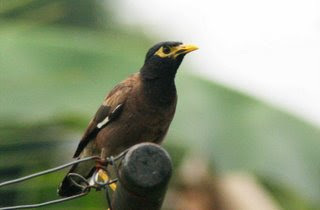 Mainly there is the Common Myna. In Malay it is tiong ‘gembala kerbau’ ( ‘buffalo herder’ tiong). 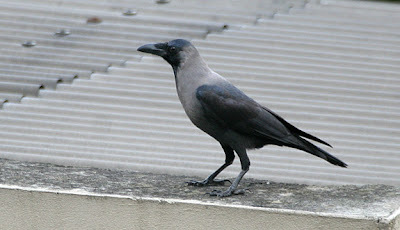 There are also the pestilent crows. 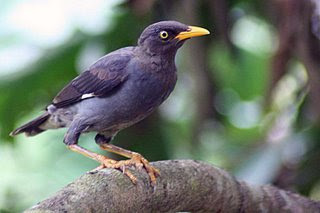 But the Mynas seem to be able to work around the nasty habits of their cousin specie. 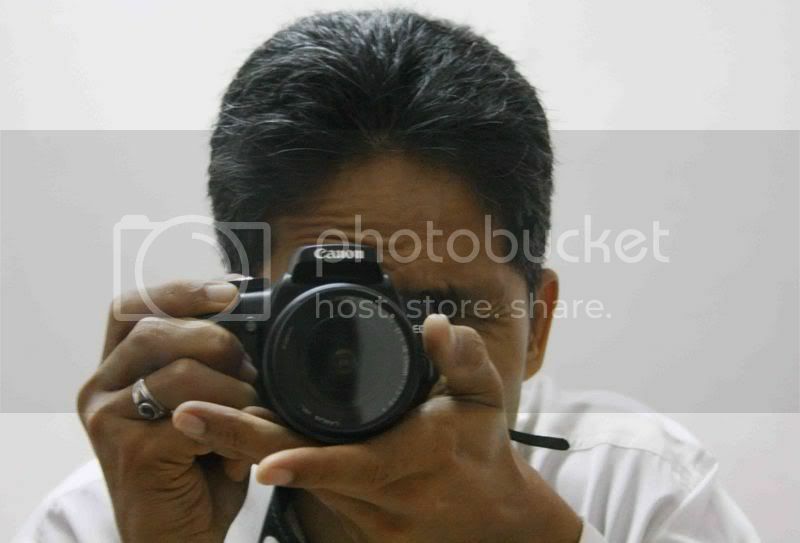 Wow!, you have more than 20 blogs in your profile. Look like I have found a very successful Architect here. Hey your blog is growing really great. Here I'm NEO from ArchSociety. By the way, I can recommend readers to visit ArchSociety. Its a fresh kind of international architectectuarl forum,in English but based in Bangladesh. Thanks for visiting Tabib! There must be more birds in Raub than Kuala Lumpur. I envy your TSLR! What fantastic photos you've taken! Anyway, thanks again for the photos. Nice photos! I did come across a lot of Mynas during my stay at a hotel in Kuala Lumpur.